On Mark Zuckerberg's Pinterest, the new title was "Hacked by OurMine Team." Facebook CEO and founder Mark Zuckerberg's Twitter and Pinterest accounts were hacked by a hacker group who claimed to have obtained passwords from his 2012 LinkedIn account, according to media reports. The hacker group called 'OurMine Team', who have more than 40,000 Twitter followers wrote from Zuckerberg's Twitter page. 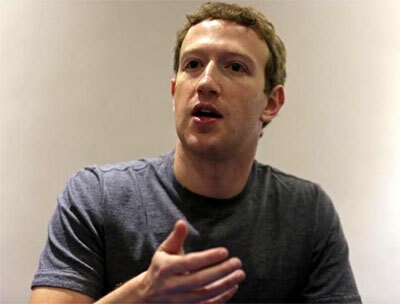 "Hey @finkd, you were in Linkedin Database with the password 'dadada' !, the team wrote from Zuckerberg's Twitter page. On his Pinterest, the new title was "Hacked by OurMine Team." The group have claimed that the password leaked through a massive data breach on LinkedIn in 2012 with more than 164 million users' data stolen, The New York Daily News reported. Zuckerberg has not tweeted since 2012. In a deleted tweet, OurMine claimed it also breached Zuckerberg's Instagram — which Facebook owns — claiming it was "just testing your security". The hacker group's Twitter account has since been suspended, and Zuckerberg's Pinterest page has been restored. While the group claimed to have hacked Zuckerberg's Instagram account @zuck, there are no signs that the page was breached, the report said. Last month, it was reported that 117 million LinkedIn username and password combinations stolen four years ago were being sold on the dark web for 5 bitcoins - worth about $2,300 (1,595 pounds). The hacker group claimed to have breached into several high-profile accounts, including that of Bill Gates, on its now-suspended Twitter. Zuckerberg is the latest in a rash of recent celebrity hacks. The week before, Katy Perry's Twitter was taken over, with the hacker sending a message to the "Roar" singer's rival Taylor Swift and releasing a never-before-heard song. Out-of-the-box celeb fashion... Like it?